refleksje z pobytu ... Bardzo mała kuchnia ze słabym oświetleniem,brak ostrego noża,nie ma sali w której można by się integrować,generalnie jednak bardzo miły i kameralny hostel.Z obsługi najfajniejsza Lenoczka. 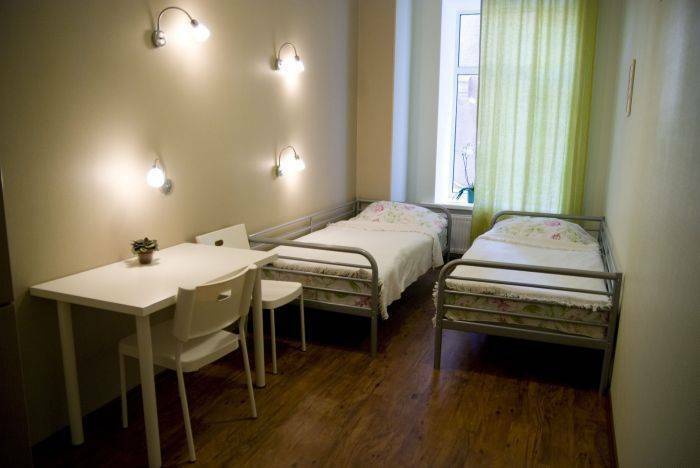 LOCATED on the arterial highway of the city - Nevsky prospect - hostel is the good choice for budget accommodation lovers. Our guests (musicians, painters, artists) rate highly cozy atmosphere, cleanness and good location. 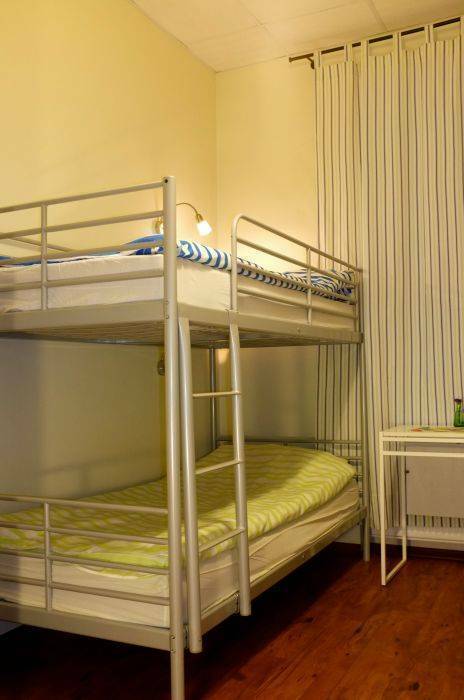 IN THE HOSTEL there are 7 multi bedded dorms. In the rooms there are beds, table and chairs. 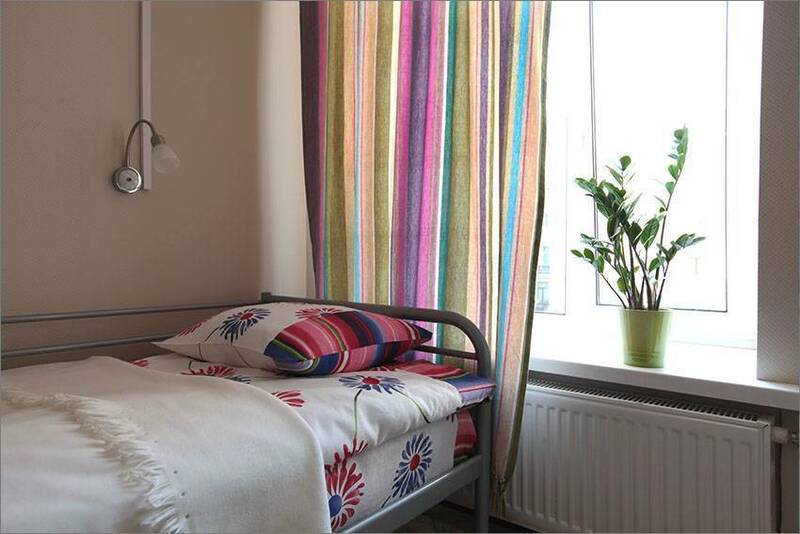 Bed linen, blankets and towels are available. Private lockers are provided in the dormitories. 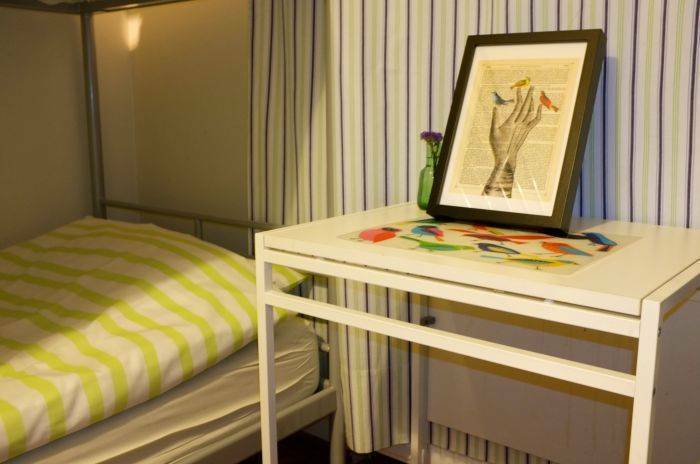 Come and enjoy your staying in Missis Hudson hostel! Bunk beds, table, chairs, privite lockers. 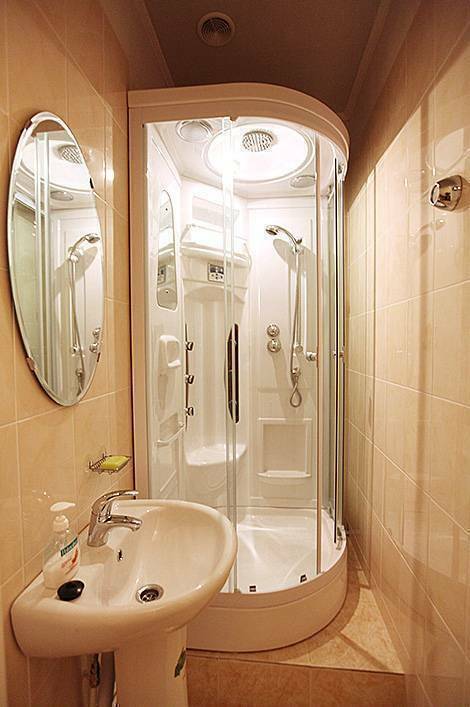 We are located on Nevsky Prospect, just 10 minutes on foot from the Ploshchad Vosstanya metro station and Moscow Railway Station or 5 minutes from Mayakovskaya metro. The entrance to the hostel is under the sign "UNION cinema" on archway of Nevsky Prospect 88, keep right side on the yard, the door to the right. Apartment 43. Press buttons #43 for entry. Second floor, left door. Our hostel is ready to welcome you!